Ask yourself this question, how many tremolo assemblies out there are removable and the same assembly will work on left and right handed guitars? 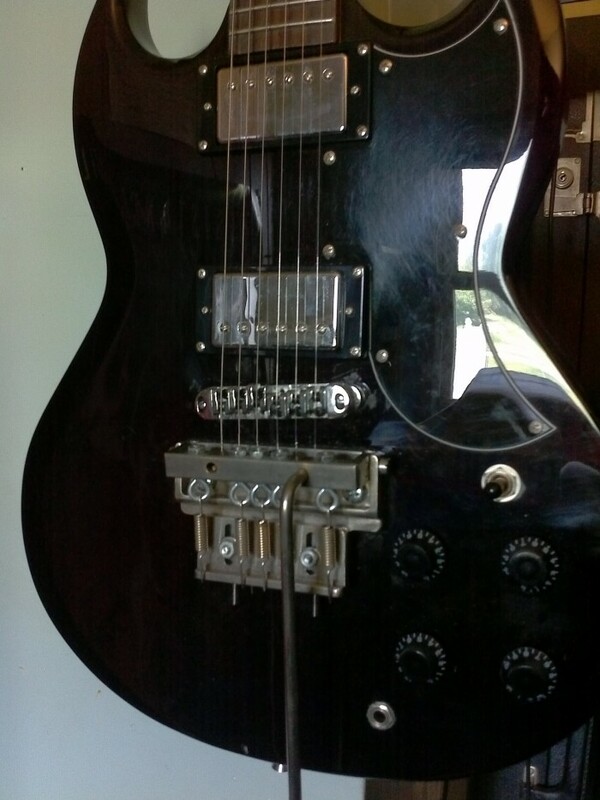 A self contained tremolo assembly that sits wholly on top of the instrument.. want to put the instrument back to it's original configuration, just remove the unit and put the original parts back on,the instrument as it is not modified or altered with this device. 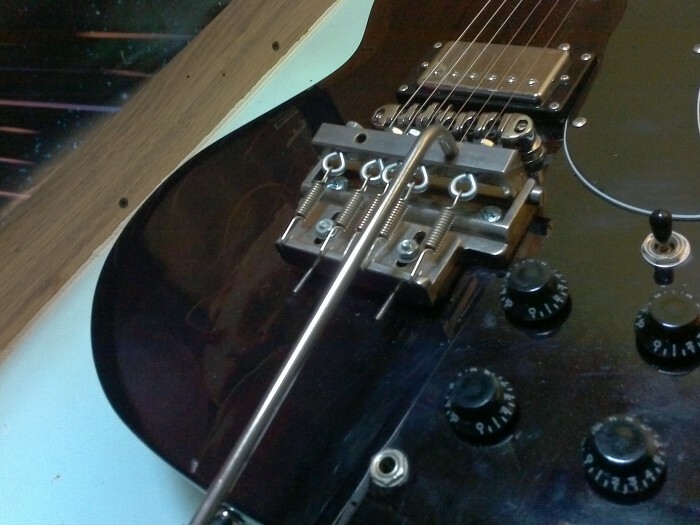 The tremolo assembly consists of in addition to the base mounting plate, an adjustable spring tension block, extension springs, a string anchor bar, a cross member attachment bar, eye bolts, hex nuts, flat head machine screws, shoulder screws, flat washers, set screws, adhesive backed felt, and a tremolo arm. The assembly pivots back and forth in relation to the base mounting plate. The extension springs and the adjustable spring anchor/tension block, hold the strings in a neutral (tuned) position. When the tremolo arm is pressed towards the instrument, the tension is decreased evenly across the plurality of strings. And when the tremolo arm is lifted away from the instrument, the tension is increased evenly across the plurality of strings. it would be ideal for an outright sale of the patent, this way the buyer can do what they want with the patent and i could pursue other projects / ideas. i have the original prototype and a second assembly that i nickel plated. also have the autoCAD drawings dimension-ed for machining. 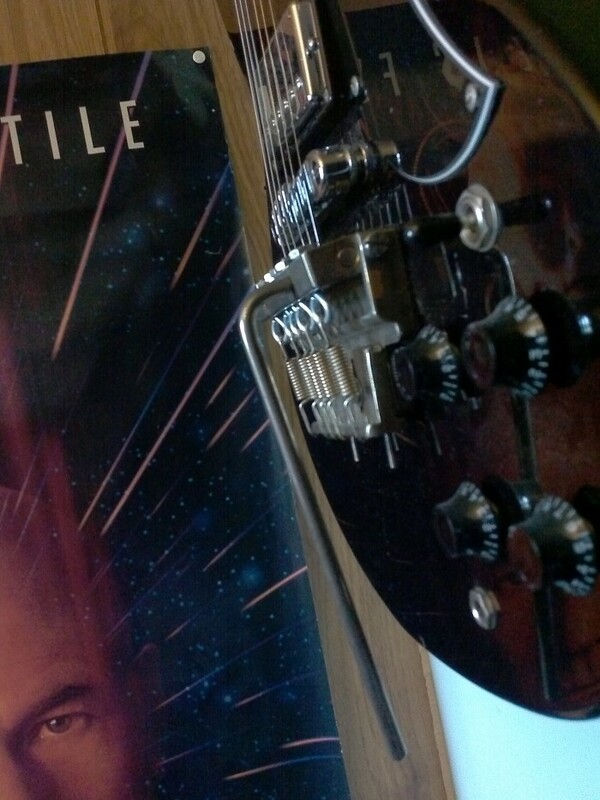 the second assembly is currently mounted on a test guitar, a Washburn Oscar schimdt SG . 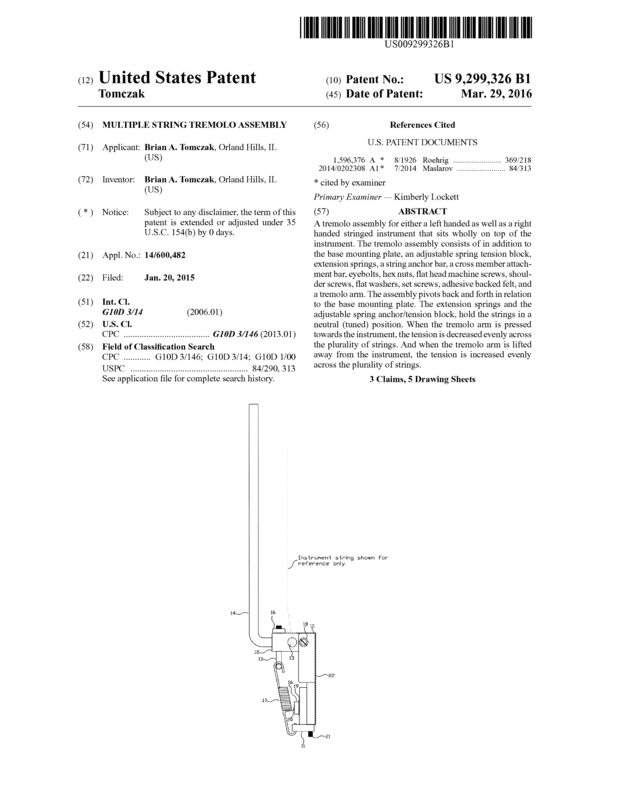 Page created at 2019-04-25 14:29:37, Patent Auction Time.